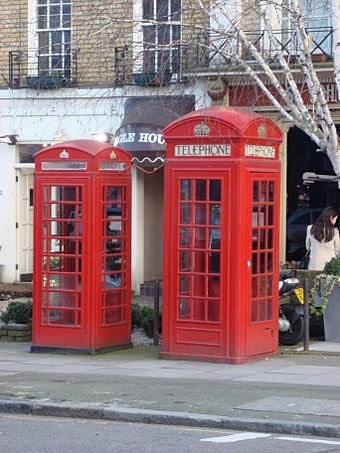 This #EngKnowledge post will be about one of the most popular icons in British culture: the red telephone booth! People nowadays don’t really use public phone anymore. 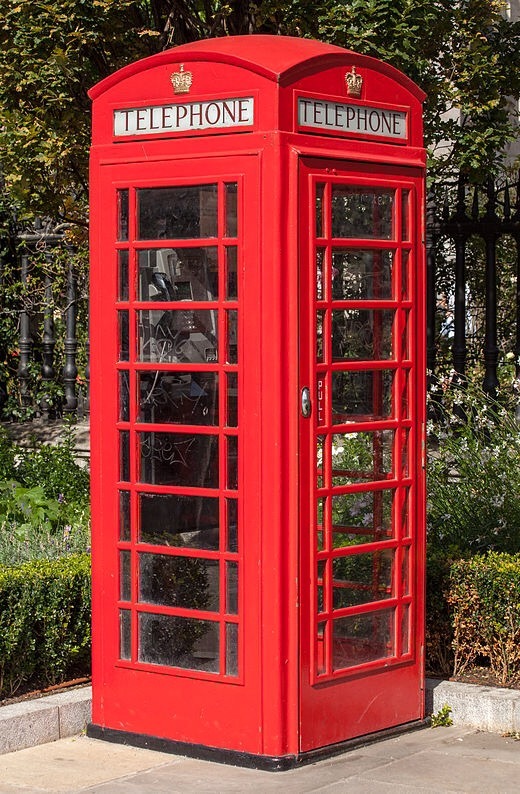 Naturally, the number of phone booth is decreasing. 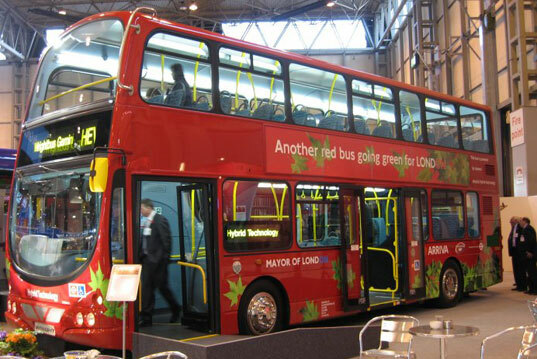 But in the UK and its Commonwealth, it remains a cultural icon and a popular tourist attraction. 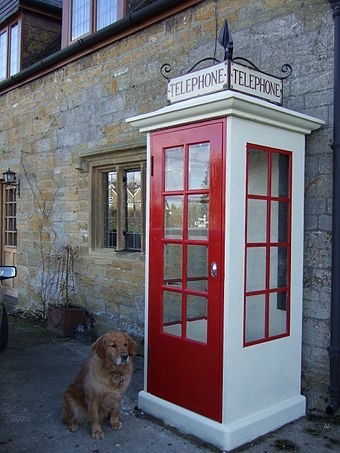 The phone booth was first introduced by the United Kingdom Post Office in 1920. At a glance, they may look the same. But there are 6 six different types of booth available. This is the oldest design available, called the K1. 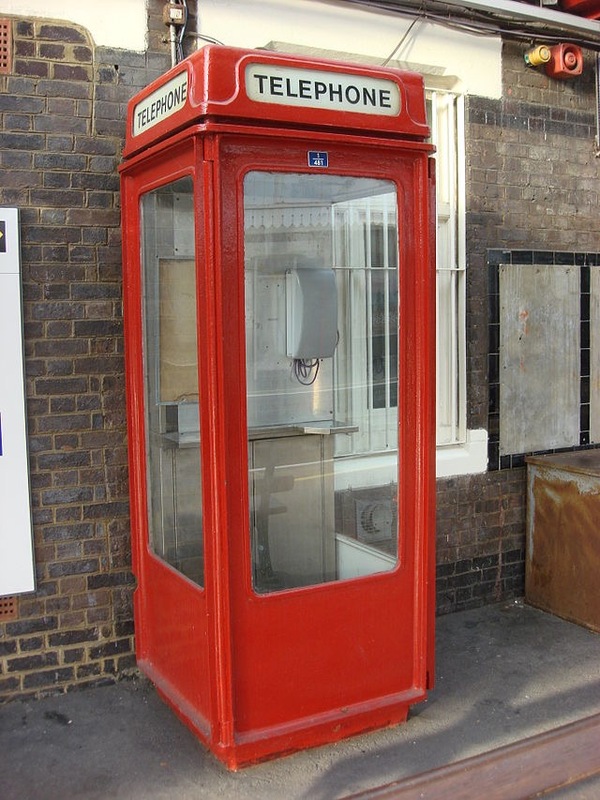 The latest design (K6) was inroduced in 1985. What’s the difference between all these types? First and foremost, it’s their size. There are also minor differences like the K4 has a post box inside. The Royal Fine Art Commission was in charge of choosing the design. 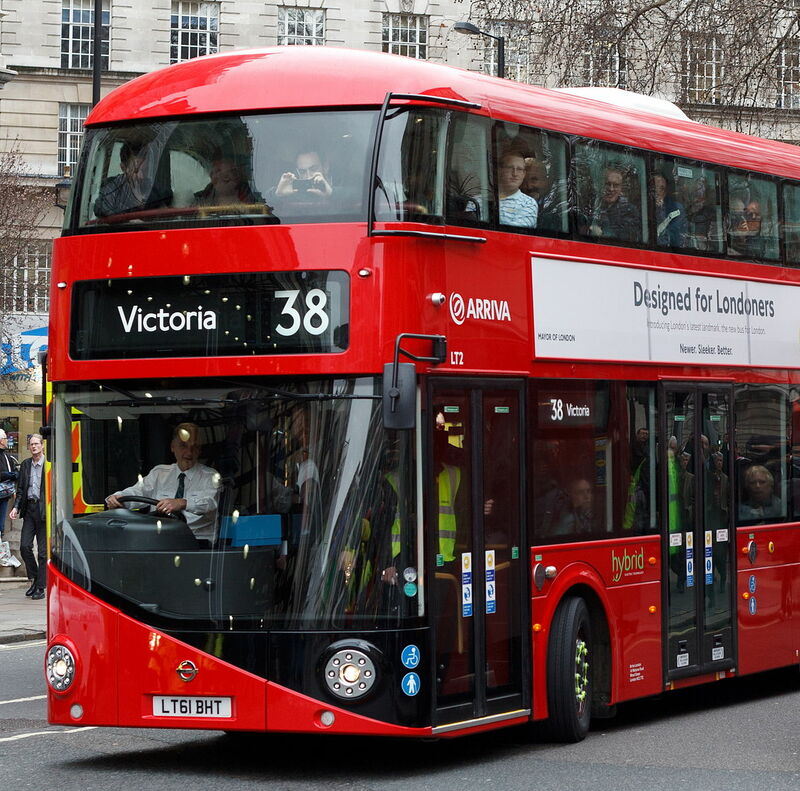 The design that is used now was submitted by Sir Giles Gilbert Scott. The color red was chosen because it was, well, easy to spot. Since 1962, the top of the booth was decorated with a crown to symbolize the British government. Check out this pic! Notice that there are 2 different kinds of crown. The left one is a Tudor’s Crown whilst the right one is a St. Edward’s Crown. In 1953, Queen Elizabeth II changed all the crowns in government official representation to St. Edward’s Crown. Because St. Edward’s is the kind of crown that the monarch is using at the moment. Will the booth design ever change? Actually, there is already the designs for K7 and K8. This is the K8, as designed by Bruce Martin. The K7 and K8 will only be used for the latest installments. But then again demand for public phones is decreasing year by year, especially with the appearance of mobile phones. K7 and K8 then became very rare types of booth. 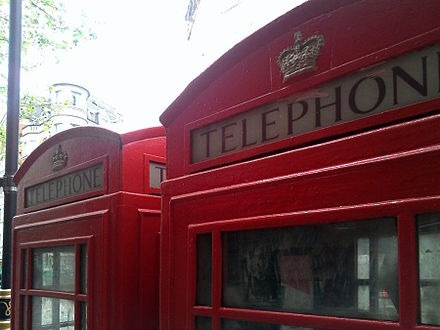 So if you have been to London, the phone booth that you saw might have been older than 70 years old! They look like this one, interesting isn’t it? I hope you all have enjoyed the session! A red cent. Meaning: no money at all. A red eye. Meaning: a flight that leaves late at night and arrives early the next morning. Paint the town red. Meaning: to go out and have a good time. Red-hot. Meaning: very hot; creating much excitement or demand. Out of the red. Meaning: out of debt. As red as a cherry. Meaning: bright red. Ears are red. Meaning: someone’s ears are red from embarrassment. #EngVocab: Say it with colour!